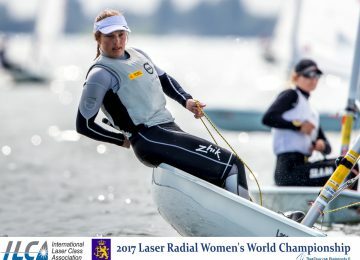 The 2018 Laser Master World championships concluded this weekend in Dun Laoghaire, Ireland. 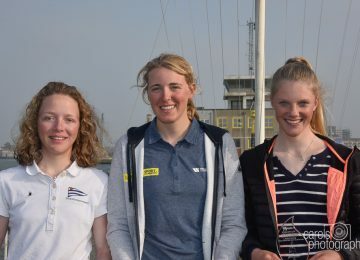 After eleven hard races, our brave European sailors won 5 of 9 titles delivered. 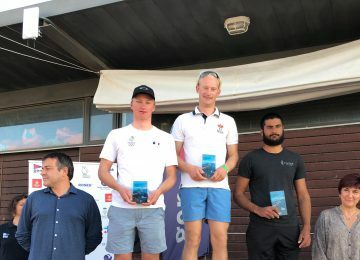 Starting with the Laser Standard fleet, Spanish sailor Leandro Rosado ESP won the Apprentice title with 21 points, followed by Canadian Gord Welsh CAN and Irish Roger O’Gorman IRL, with 23 and 27 units respectively. 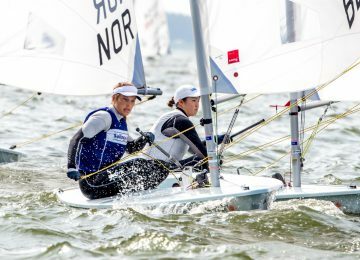 Australians Brett Beyer AUS and David Whait AUS won Gold and Bronze medals respectively among the Master category, with Sweden sailor Niklas Edler SWE placed on second with 39 units. Grand Master’s podium was completely European, with British Mark Lyttle GBR on top with 40 points, escorted by Spanish Carlos Martinez ESP and Dutch Arnoud Hummel NED, with 42 and 50 points respectively. 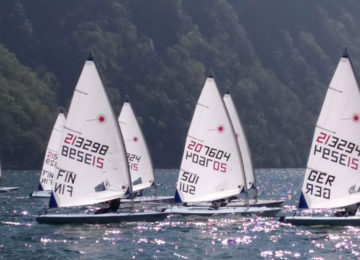 Great Grand Master’s podium was also European, with German sailor Wolfgang Gerz GER winning with 16 points, followed by British sailors Michael Hicks GBR and Charles Campion GBR, with 27 and 36 units. Radial’s Apprentice Master World title was for British Ben Elvin GBR with 11 points, with Irish Thomas Chaix IRL and Andrew Byrne GBR on second and third with 20 and 26 points respectively. Radial Masters were led by Scott Leith NZL from New Zealand. Second place for British sailor Ian Jones GBR with 30. Third place for Robert Hallawell USA with 38. Stephen Cockerill GBR and Gustaf Svensson SWE were Gold and Silver among the Radial Grand Masters with 19 and 41 points, followed by Canadian Timothy Woodford CAN on third with 44. Great Grand Masters were led by Bill Symes USA with 39 points, escorted by European sailors Lasse Wastesson SWE and Christopher Boyd IRL with 61 and 65 units respectively. Finally the best ones! Our awesome Legends Peter Seidenberg USA, Lindsay Hewitt USA and David Wyllie AUS conformed the Radial +75 podium with 14, 37 and 39 points. Report by Agustín Argüelles – EurILCA | Photos: Dave Branigan – Oceansports.